ISO is an independent organization which evaluates the quality of a community’s fire protection service. It does so by using a PPC (Public Protection Classification) system incorporating standards developed by the National Fire Protection Association and the American Water Works Association. 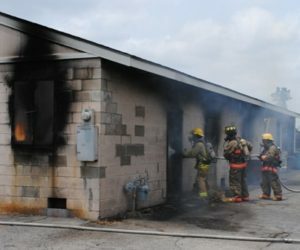 The State Fire Marshal’s Office, which works under the Texas Department of Insurance, has oversight into the process used in an ISO evaluation. The Fulshear Simonton Fire Department has an ISO rating of a 3/6. Rating are given from 1 (best) to 10 (lowest) and are based on communications, Fire Department, and water system. ISO ratings are used by various insurance companies to determine fire insurance premiums. The Fulshear Simonton Fire Department is constantly working to improve our ISO rating.